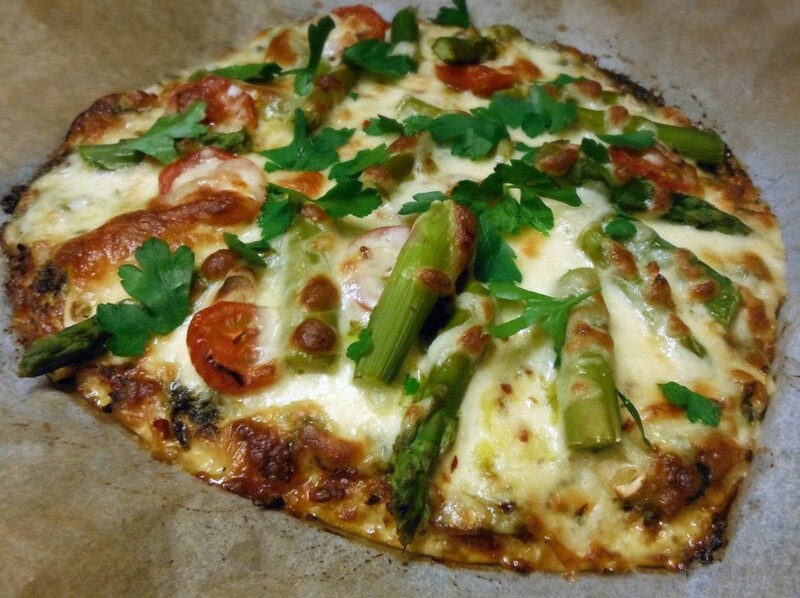 Instead of the usual dough made with flour, this pizza crust is made with grated cauliflower. It’s enough to serve two and because it’s so low in carbohydrates it only has 300-350 calories per serving. 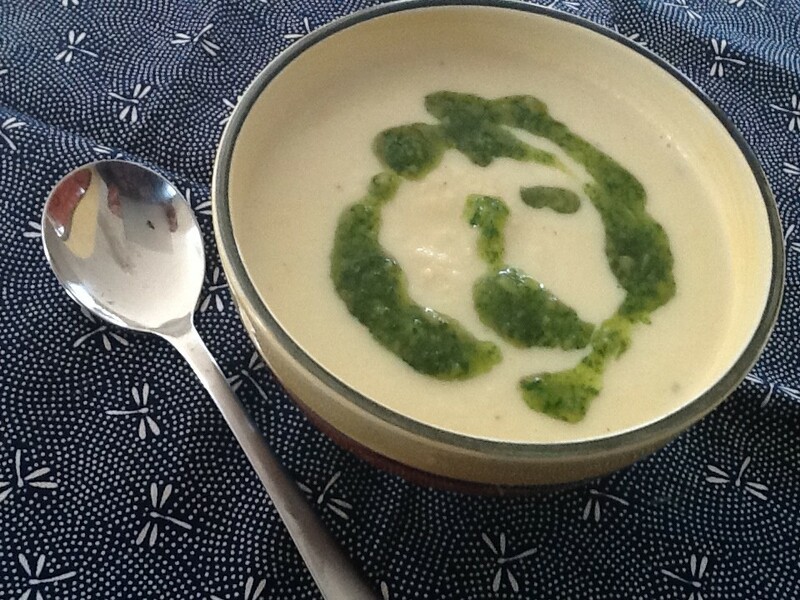 Try it – it’s really delicious! 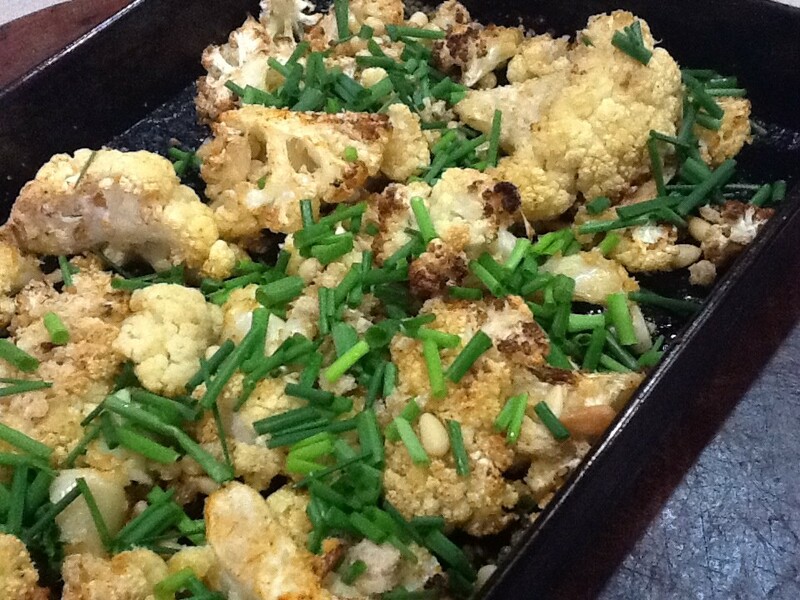 Coarsely grate cauliflower. I used a coarse 5mm grating disc on my Magimix. Place in a bowl, cover and microwave on High for 7-8 mins or until soft. Cool then mix in remaining ingredients. Pre-heat oven to 220°C. Line a baking tray with baking paper. Tip cauliflower mixture onto the paper and pat it into a round pizza crust. Bake for 15 mins or until golden brown. Spread tomato sauce or pesto over the pizza base. Arrange tomatoes, asparagus, garlic, sliced Mozzarella balls and chilli flakes (if using) on top. Sprinkle with grated cheese then bake for 10 mins or until bubbly. Garnish with fresh herbs and serve with a mixed salad. Variations: instead of asparagus use some ham, salami, pepperoni or peeled prawns. 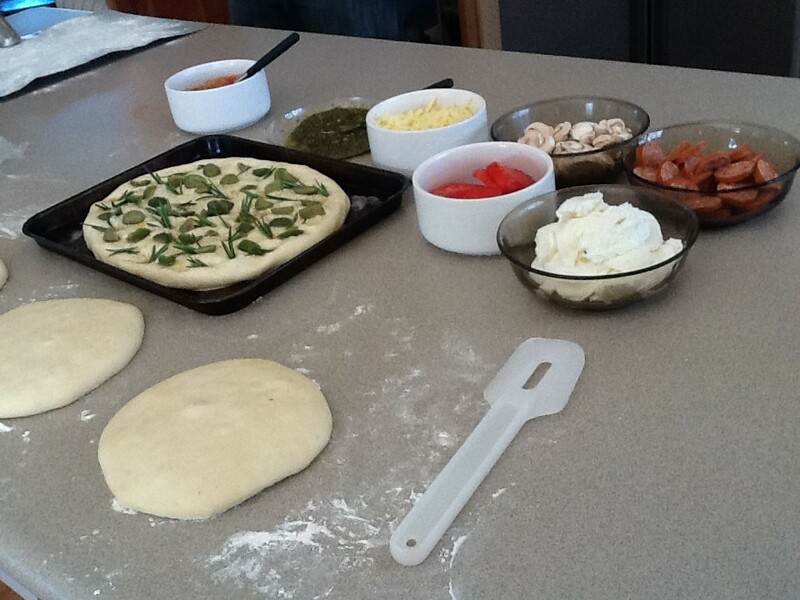 This entry was posted in Recipes and tagged easy, family, kids, quick by Linda Peek. Bookmark the permalink. I made the Seafood Coleslaw today. Really,really tasty!